There’s just one problem with that description: Toshiba has outfitted the Kirabook with an HDMI output that can drive an external display at only 1920-by-1080 pixels. 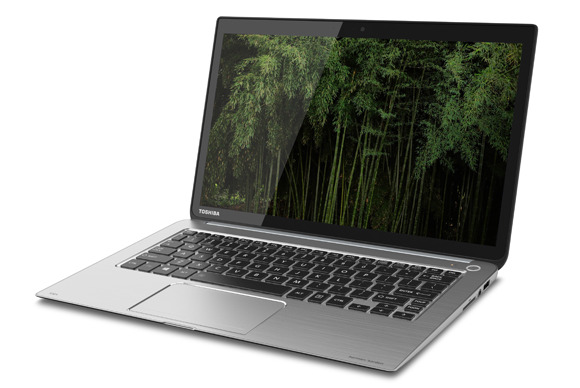 It’s a curious design decision considering that Toshiba is positioning the Kirabook as luxury item for the well-to-do crowd. Apple provides HDMI out on its MacBook Pro, too. However, Apple's machine also delivers Thunderbolt, so it's capable of driving up to two external displays at resolution of 2560-by-1600 pixels each. While the HDMI standard is capable of resolutions higher than 1920-by-1080, when doing so it’s limited to refresh rates of only 24- or 30Hz (4096x2160 pixels at 24Hz, and 3840x2160 pixels at up to 30Hz). Anyone connecting the Kirabook to a 27- or 30-inch display is likely to be disappointed with the image they see on the big screen compared to what they see on the little screen next to it. 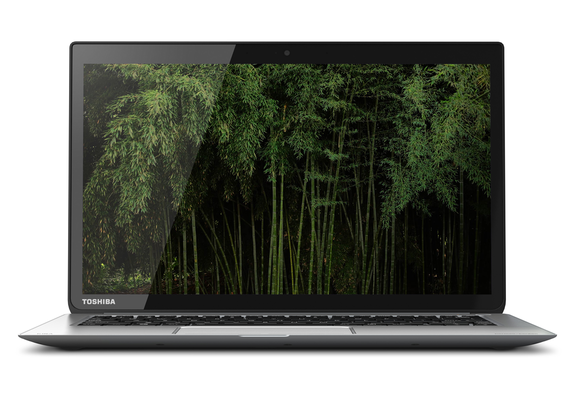 Toshiba's Kirabook boasts a Retina-like display in a 13.3-inch Ultrabook. Bae also told us each Kirabook will be hand-calibrated to the Adobe sRGB color space before it leaves the factory, and that this will be stored at the BIOS level, so that it won’t be impacted by device drivers or other programs the end user might install. Toshiba’s press release provided a pricing range for the Kirabook, but Bae provided us with more specific information at the meeting. 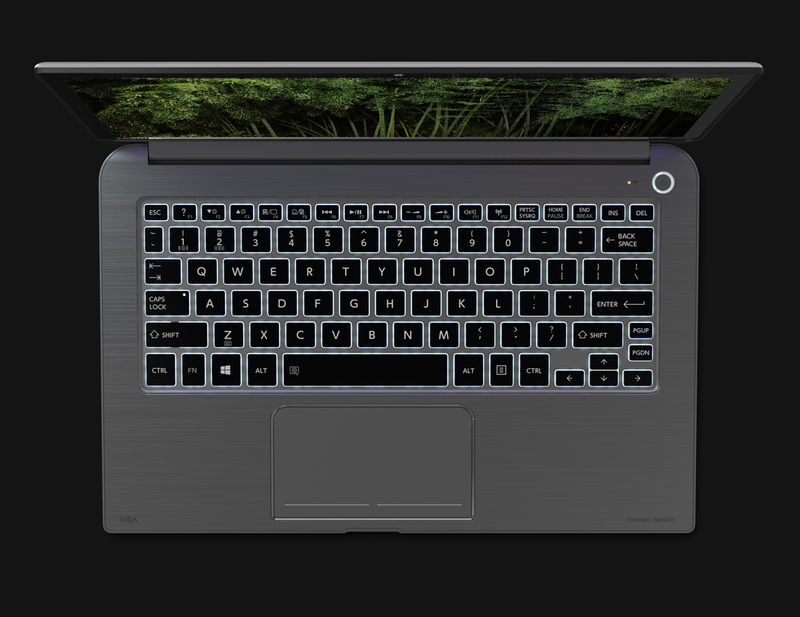 The Kirabook will feature a backlit keyboard. Toshiba will bundle Adobe’s Photoshop Elements 11 and Premier Elements 11 with each computer, along with two years of Norton Internet Security, Online Backup, and Anti-Theft service. 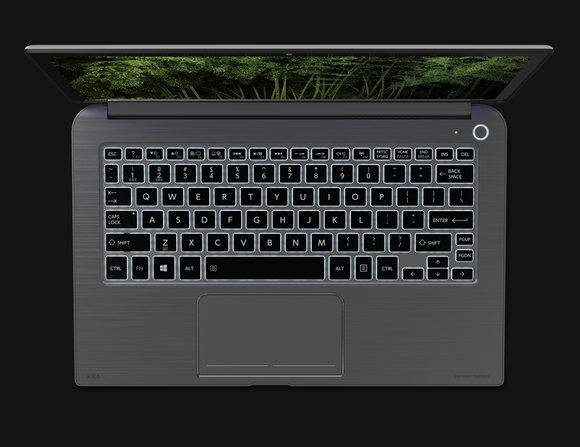 The Kirabook will be available for pre-order on May 3 and for purchase on May 12.